Children with Down syndrome would experience new protection, under bills being introduced in the Pennsylvania House of Representatives and the Pennsylvania state Senate. 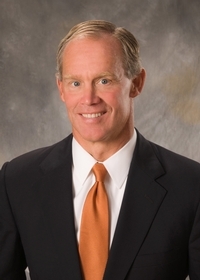 The Speaker of the Pennsylvania House, Representative Mike Turzai (R-Allegheny County) and Representative Judy Ward, a nurse, (R-Blair County) are the prime sponsors of the House bill. Parents report often being pressured by doctors and others to abort babies diagnosed with Down syndrome. This is often based on the misconception that the children will suffer and will be a burden to their parents. But in point of fact, those born with Down syndrome now experience a much greater life expectancy and a myriad of opportunities. Pennsylvania is already home to Chloe’s Law—a measure named after high school student Chloe Kondrich, who has Down syndrome. The law provides resources and support to parents who learn that their unborn children may have Down syndrome. Chloe has accomplished a great deal in her young life, including writing a book and meeting with nationally-known public officials, sports stars, and entertainment figures. She recently attended the White House Rose Garden ceremony commemorating the tragic anniversary of the U.S. Supreme Court decision Roe v. Wade, which legalized abortion nationwide.